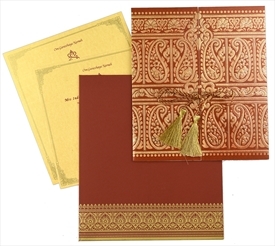 D-4707, Red Color, Shimmery Finish Paper, Laser Cut Cards, Muslim Cards. 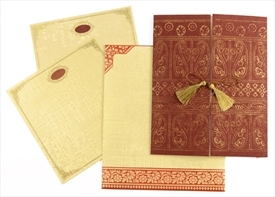 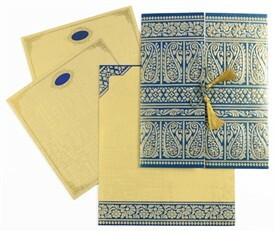 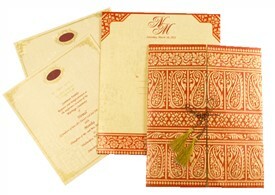 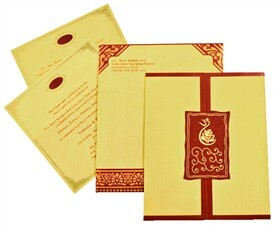 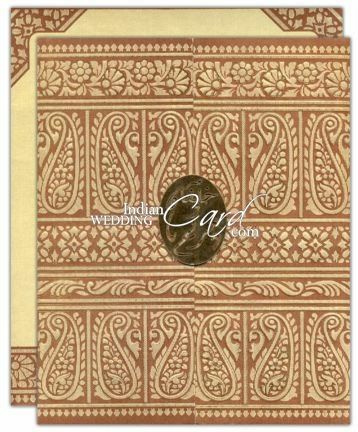 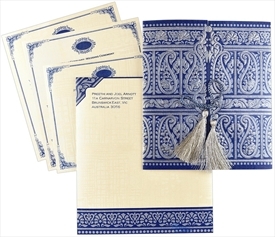 A traditional paisley print with detailed self-embossing and gold leaf line work makes the card a beauty to behold. 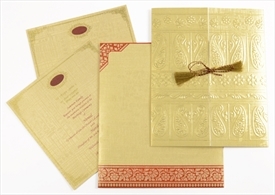 The front has Laser cut Golden paste-up. 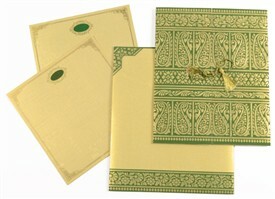 The 2 inserts and the interleaf have a golden ornate border all around. 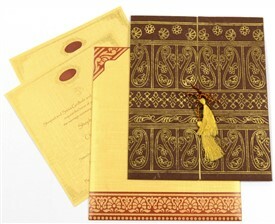 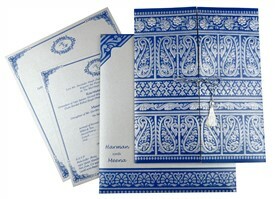 The envelope has brown borders and designer flap similar to the front.